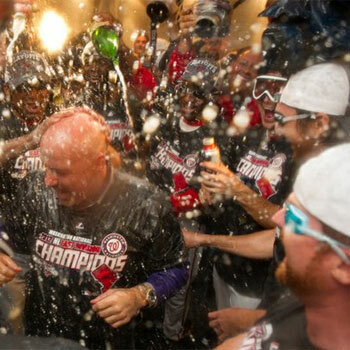 Time could be called on spraying bubbly to celebrate at US Major League Baseball (MLB) games. Bud Selig, the commissioner of MLB in the US, has voiced his displeasure with the time-honoured tradition of spraying Champagne to celebrate victory. As the MLB moves into the post-season matches, teams start to celebrate closing in on the World Series final by soaking each other in Champagne; a similar tradition to the one seen at the end of Formula One races around the world.